The South Australian government has requested that the auditor-general, Grant Hehir, conduct an “urgent investigation” into the latest funding round of the federal mobile black-spot program. 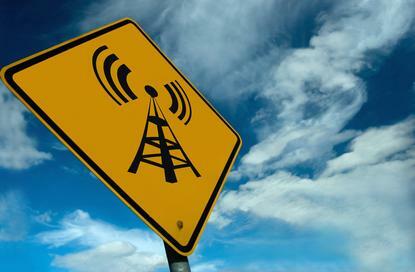 The federal government last week unveiled the results the second round of the black-spot program, which will help fund 266 new and upgraded mobile base stations. “I have written to the auditor general requesting a full investigation into this programme as the lack of transparency in deciding sites is of significant concern to the South Australian government,” said South Australia’s science and information economy minister, Kyam Maher. The funding allocations in round two have already drawn criticism. Vodafone, which received funding for only four base stations in the round, described it as a “lost opportunity”. Labor said that that the black-spot funding allocation has been politicised, noting that only 11 per cent of base stations funded in round are located in Labor electorates. The Coalition has argued that the disparity merely reflects its strength in regional areas where funding is needed for mobile services. “With bushfire season fast approaching, it beggars belief that rural electorates like Wakefield and McEwen, which have experienced devastating fires, have again been short changed and in the case of Wakefield completely overlooked – again,” said a statement issued by the shadow minister for regional communications, Stephen Jones, shortly after the government revealed details of round two funding. The first round of the mobile black-spot program was criticised in a report issued by the Australian National Audit Office. An ANAO audit found that the first round “did not sufficiently target funding toward the expansion of coverage where coverage had not previously existed”. The Department of Communications, which administers the program, “appropriately identified black spots to guide the location of proposed base stations to be funded under the MBSP through its Database of Reported Locations, which listed over 6000 publicly nominated areas with partial, poor and no mobile coverage,” the ANAO report stated.